Today after the lunch time lecture by Viv Groskup I decided to finally create a blog. I liked how it turned out, but I won’t post a “real” post yet. I guess this is only an introduction. It’s already this hour and I haven’t studied…I need to now get my feature idea straight and email it to my seminar tutor because my last idea was rubbish. I always listen to a song by Raul Seixas called Tente Outra Vez (Try Again) after I feel like I failed or something. It makes me feel motivated again. On another note, the first picture on my header is from last December when I went to Mexico. 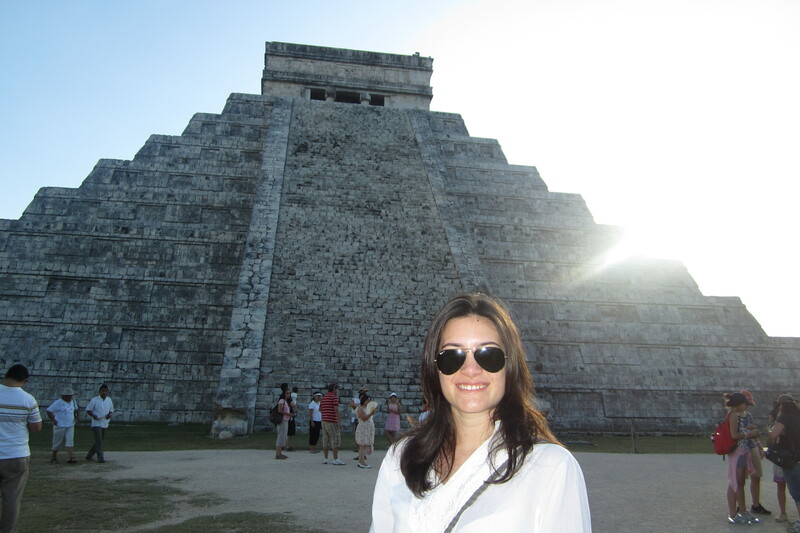 It was taken at the ancient Mayan city Chichen Itza and the temple behind me is the Kukulkan. The second picture is on a street in Barcelona on Easter 2011. The last picture was taken in São Paulo at Praça da República on the first day of 2011.